At just under 14 mm in diameter, it’s a very small coin; nonetheless the RCM engravers did a phenomenal job of capturing the details of this fish, as they did with the first coin in this Sea Creatures series. 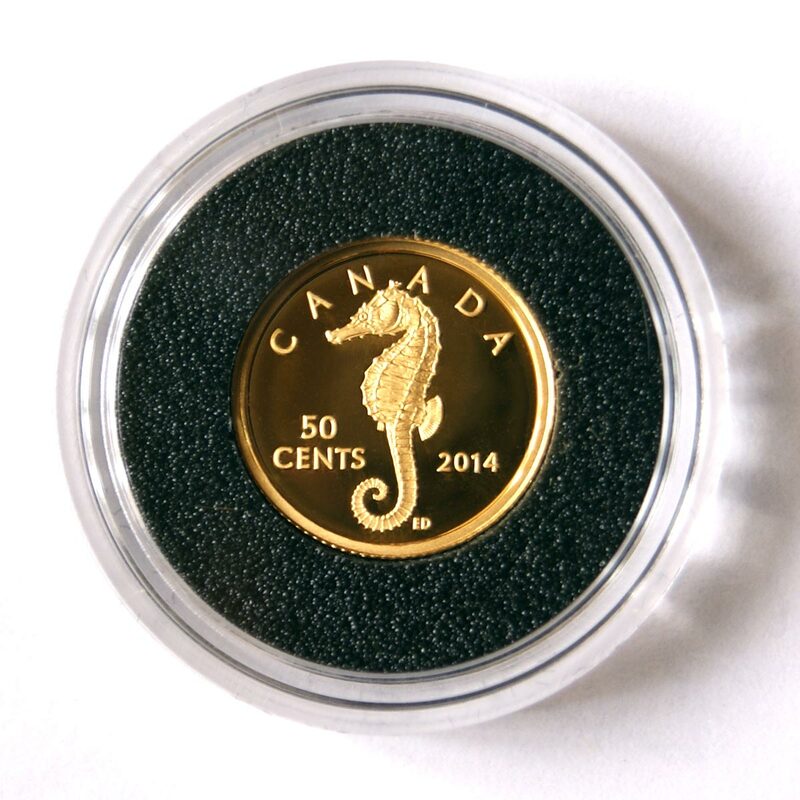 The complete specs of the coin are at the RCM website here. Beautiful job! I love sea horses…and sea dragons!